Welcome to Episode 8 of The State of You Podcast – I am Bindi – thank you for joining me. In this episode we explore the concept of Listening to You and how being in tune with ourselves, our bodies and the universe can align us to our purpose and our values. Busy lives mean busy minds, we don’t often stop and take the time – the time to listen to ourselves. When was the last time you listened to you – your inner voice or actually what your body is telling you? Was it positive and reassuring or was it negative, judgemental or alarming? We often find ourselves living the life we thought we wanted, only to find it wasn’t based on our own values – it was based on someone else’s. This might be formed through our relationships or conditioning over time. When you take the time to listen to yourself you will find it a lot easier to discover your purpose and live your values. You might find over time that the job or the relationship you are in no longer aligns with your core values – this is where you really need to dig deep and ask the big questions and many pathways may open up for you. It may mean you need to realign yourself in one or many ways. It’s more than just listening to yourself, it’s also about asking yourself the right kind of questions and taking action with the answers and becoming aware that the universe has everything under control and looking out for those ques. Know what you are asking for – be aware of what you are asking and then you’ll know when it appears. Let me give you an example – I was working on a project and I was struggling to bring all the loose ends together and kept asking myself – how can I make this work? what would a genius do? How can I bring this together? Soon after that I got a message from a friend who specialised in just what I needed, and we collaborated on a solution. Another – in my very first podcast I was trying to find what my message was – when I had fallen so many times who was I to be preaching? I realised there was a lesson from my experience that everyone could benefit from – the clear message I got when I asked myself the question – and listened – was its ok to fall because without the fall, you won’t understand the growth in getting back up. See what I mean? Ask, Listen, Receive, Act! By listening to yourself you just may get the wisest advice you will ever receive, and the universe will show you the way. Listening to yourself also means you take notice of your instincts – when you get that gut feeling or a hunch – it all happens for a reason – listen to it – take notice – often our instincts are usually right and any time we divert from them we most likely come undone. It may take time for you to get used to listening to yourself but once you cut through the meaningless chatter that happens in your head and the answers you need materialise, it becomes a lot easier with practice. There are different ways that you might receive answers or messages – for example it might be that feeling you get that feels like something is right and common sense – it could be an ahuh moment, you could get goosebumps or feel a warm glow kind of feeling, you may even hear the words in your head or a voice (no this doesn’t mean you’re crazy), you might see an image in your mind and quite commonly you might have a dream and it’s message sticks with you. Listening to our body should be the easiest thing to do right? Ha well it should. We need to stop ignoring the signals it is giving us because those signals are there for a reason. Don’t underestimate how fragile the human body can be – particularly if it is not being taken care of. For over 20 years I have worked in a corporate environment, usually with a long to-do list and multiple deadlines and often you feel like you are being pulled at from multiple directions based on priority. After so many years in this environment, I have had many alarm bells, my back has been a primary one from sitting for so many years, along with my weight due to the sedentary stressful lifestyle. My immunity was also compromised from stress, I used to be able to almost predict when I was going to get sick with a throat infection. You’ll be glad to know I have put things in place to deal with all these issues and the results are really speaking for themself. If you’re experiencing pain, discomfort or health issues – don’t sweep it under the rug or push it aside thinking everything will be ok. Your body doesn’t respond in the way it does without good reason. When it starts to fall apart or transform into something you didn’t quite have in mind, take responsibility, respect yourself enough to exercise self care and get the attention you need to rectify what your body needs. If you don’t, those alarm bells will get louder and will be harder to reverse or repair – listen, receive, act! See a pattern here? By now, you should know right from wrong and know what to be on the lookout for – generally your inner voice will steer you in the right direction or to do the right thing. We also have to think about our past when our instincts give us a nudge – we should never let a past experience override a gut feeling – particularly if it is telling us to go down a path we have before unsuccessfully. Obviously, it goes without saying – use your common sense and best judgement here. Sometimes we need to make decisions that will change our entire life and often we get a message repeatedly and ignore it – it can take some time for us to actually get it, receive it, listen and take action. Once you get it – it’s like a lightbulb moment and you’ll quite plainly see it’s the universe trying to tell you what you should do – so just go with it and trust it. Through your decisions you create what you need for your journey and many times we try to convince ourselves that other options may have been better – even when our gut is still telling us we are on the right track – even though it might not seem so. The key to listening to yourself and trusting in your intuition is simply that – trust. If you’ve had a history of making bad decisions, it may be hard to trust yourself and you might not feel equipped to make decisions to get you to where you need to be. If this is the case, take a step back and make a commitment to yourself – a promise to love yourself regardless of whatever state you are in. Be kind to yourself and patient and know you’ll figure out all you need to know. · What am I trying to achieve? · Am I clear on the decision I am making? · Are there other options I need to consider? · Do I need to get advice from elsewhere? · Who besides me will be impacted by my decision? · How will others be impacted? · Once I have made this decision, what will my life be like once I have made it? · Is this decision ethical and in line with my values? You might also find it helpful to practice meditation regularly to give you the benefits of greater self-awareness and reduced stress and therefore position yourself in a better place to listen to yourself, your inner voice and your body. I find guided meditations useful in keeping focused, overcoming obstacles and achieving outcomes. I hope episode 8 has been useful in helping you to tune in to listening to you and given you some food for thought on how you can ask, listen, receive and act. Thank you for taking the time to listen – if you would like to share your story, please visit my website at www.thestateofyoupodcast.com and send me an email. 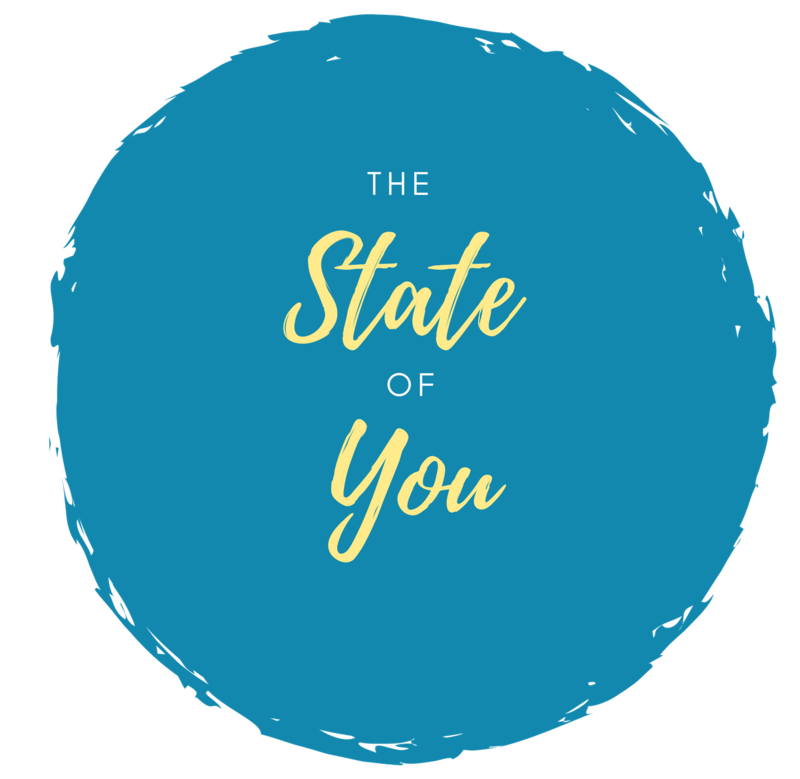 If you enjoyed this episode– please share your feedback – I would love to hear from you – you can find me on Instagram @thestateofyou, Facebook @thestateofyoupodcast or subscribe to the podcast through my website.